When starting out players are connected to a new world, a map of Europe and North America, and randomly assigned their own country to rule. Each country is broken down into various provinces that have their own main city as the primary attack/defend point, however the entire region has a general terrain that will offer benefits and penalties to various units, that directly reflect their real world locations. Players will have to use force, diplomacy and espionage to expand their own territory borders, which in turn will work towards the ultimate victory as key locations have a set number of Victory Points, accumulate enough Victory Points and you win the game. 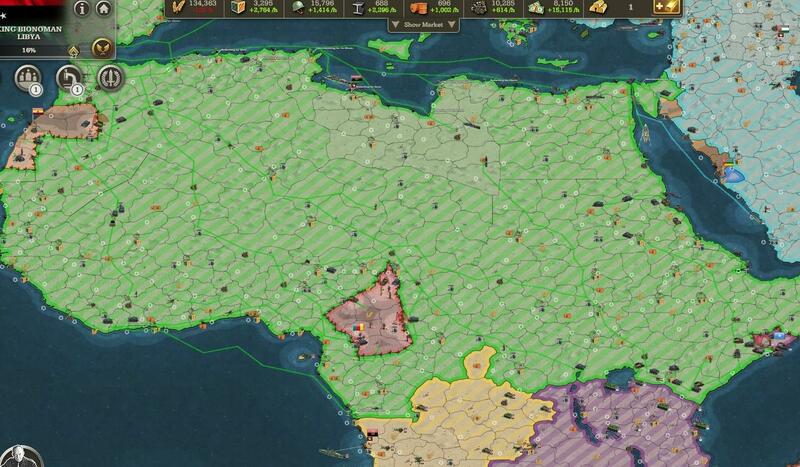 Aside from Victory Points other key locations can give primary resources such as Goods, Rare Metals, Oil and Food, whereas all territories yield Manpower and Money; these resources are needed to construct buildings in each territory, or train up military units or as maintenance to keep them running. Players are able to trade resources between each other to help make diplomatic relations, working towards making a potential alliance and helping each other in the long game, the game also is know like Supremacy 1942. With resources in place each territory is able to construct buildings, which are pre-requisites to produce certain military units; Infantry, Armor, Air and Naval units, all types of construction and production takes up resources and time to construct, from minutes to hours depending on how high a level. To build units players must also unlock needed technologies through the Research Tree, each unit category has its own tree so players can choose what they wish to focus on, as well as a fifth “Secret” tree for powerful unique units. Each Research Technology takes a certain amount of days to complete, and players can only research one technology at a time, as well as this technologies can only be unlocked if pre-requisite technologies have been picked up e.g. Medium Tanks Level 2 are required to start training Heavy Tanks Level 1. More so each technology on the research tree can only be unlocked from a certain day in the round, ie. the previously mentioned Medium Tanks Level 2 technology can only be learned from Day 16 of the current world’s round, whereas players have to wait until Day 24 before they can unlock Heavy Tanks Level 1, meaning as the game progresses the nations start to get increasingly more powerful. When armies are assembled players are able to move them across land, air or sea, following certain routes to reach their objective, whether to reinforce a location or attack an objective; it takes time to travel across the map based on the unit, terrain and distance and so players must be conscious of how long it may take for their units to travel between locations if needed for defense. Espionage plays a key role in the game and players are able to recruit spies to provide counter intelligence against rival spies actions or carry out a variety of missions against other players such as revealing where their troops are or even their entire armies, destroying production and resources or simply gathering intel. Spy actions can take quite some time but players can take instant actions by spending Gold, a premium currency purchased with real world cash. Gold is extremely useful for providing an edge, allowing players to buy missing resources, speed up production of units, buildings and research or even purchase the High Command premium feature which gives access to additional options in game as well as slowing players to queue construction and production giving them more management of their nation when they are offline.